Did you just get a tooth implant procedure? Here's everything you need to know about dental implant pain, how to manage it, and when it signals a more serious problem. Whatever your age, and cause of tooth loss, there is a wide range of tooth replacement solutions such as tooth implants, flexible partials, and traditional complete dentures, that can offer you a more functional and aesthetically-pleasing smile. Whatever your lifestyle, needs, and budget, the team at Future Smiles has the expertise, tools, and solutions, to protect your oral health. While you will not feel any pain during your tooth implant procedure due to the anesthesia, as the numbness wears off, you will most likely begin to feel some discomfort. The extent of this will depend on several factors including how complex the procedure was and how many implants were put in. While this varies from patient to patient, you may experience some pain and discomfort for anywhere between 7-10 days after the surgery. Your dentist may prescribe you pain medication to help. Note: You may also experience some swelling which should subside between 3-5 days after your procedure. Week 1: It is normal to have some pain and discomfort at this time. Talk to your dentist about pain medication to help keep you comfortable. Week 2: At this point, your pain should have subsided. If it hasn’t, you should contact your dentist as this could be a sign of infection. Whatever the reason, if you are experiencing some discomfort or pain at this stage, you must visit your dentist. Again, you must contact your dentist/denturist as soon as you begin feeling any pain or discomfort to protect your overall and oral health. Remember, you must give your body and jaw plenty of rest to allow your tooth implant to heal properly and quickly. To find out more about the costs and benefits of our tooth implants and other denture solutions, contact our Calgary denture clinic today at (403) 475-0016 or book a consultation. 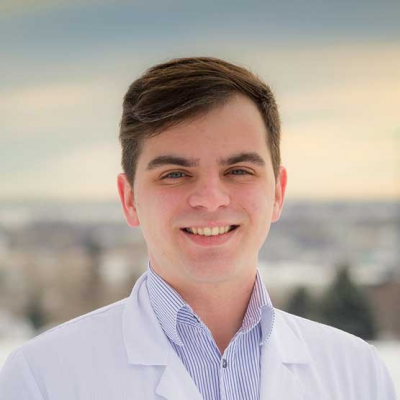 Vlad Dumbrava has been active in the field of denture therapy since 2008. Upon receiving his denturist degree in 2011 from George Brown College in Toronto, Ontario, he continued his education in Medical Sciences at Western University. © 2019. «Future Smiles». All rights reserved.